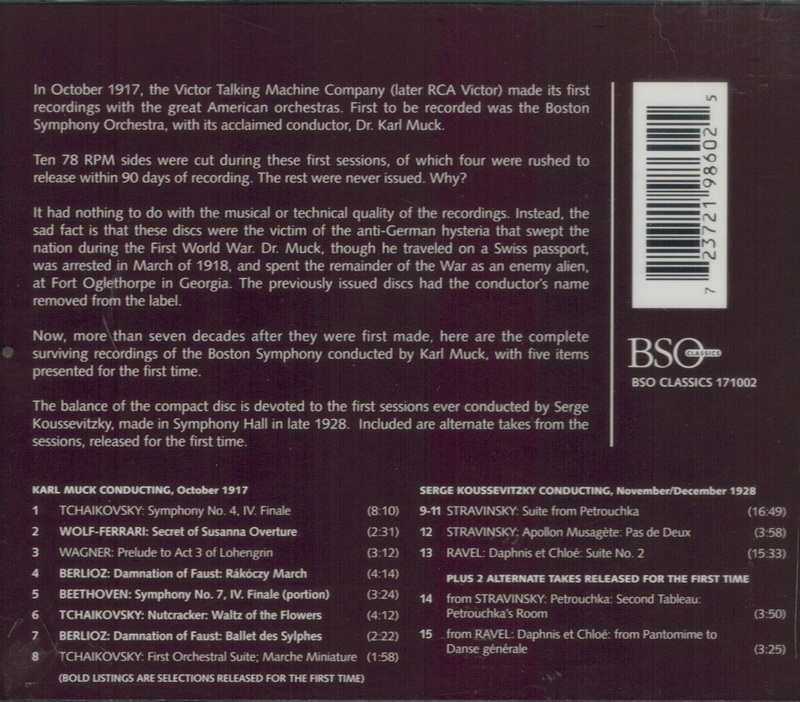 "Ten 78 rpm sides were cut [by Muck] during these first  sessions, of which four were rushed to release within 90 days of recording. The rest were never issued. Why? 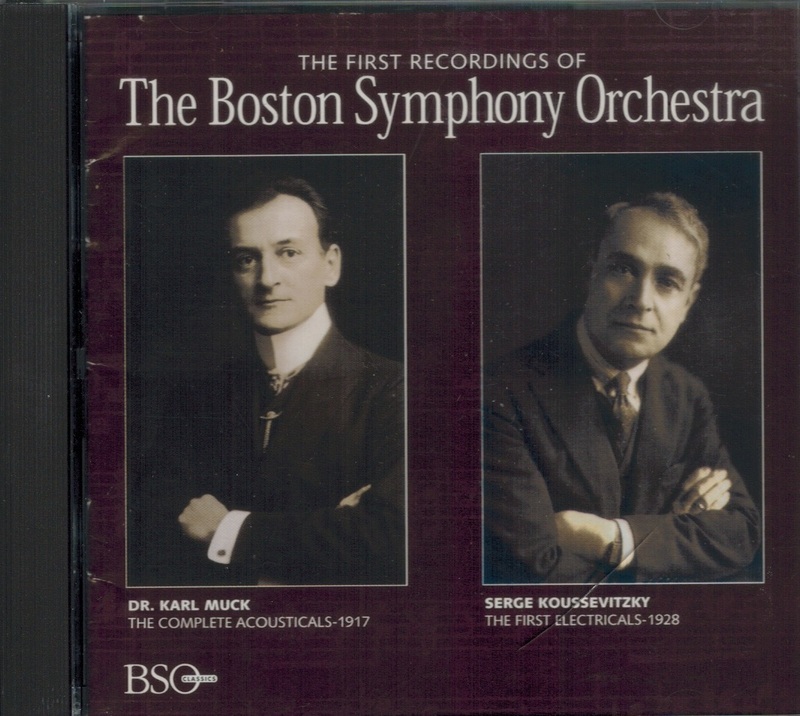 It has nothing to do with the musical or technical quality of the recordings; indeed, years later that handful of Boston Symphony discs were regarded as some of the finest examples of orchestral recording of the time. 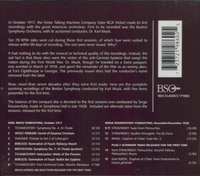 Instead, the sad fact is that these discs were the victim of anti-German hysteria that swept the nation during the First World War....Now, more than 77 years after they were made, the Boston Symphony is releasing the complete surviving recordings (nine of the ten sides) of the Boston Symphony conducted by Karl Muck....These discs now join the originally issued sides (the earliest known attempt to commercially record a 100 piece symphony orchestra....)"